on or around the date Circa 1900. 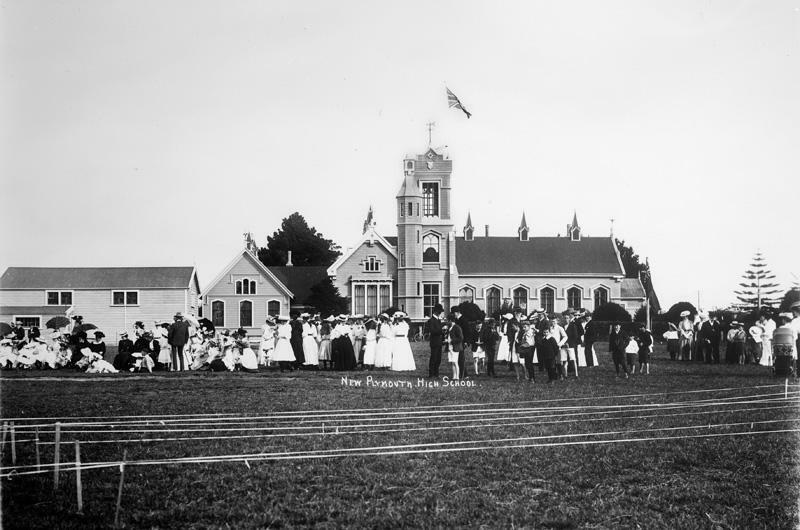 Group of people standing on grassy area in front of New Plymouth High School (now New Plymouth Boys High School) buildings. Tower in centre of image is flying the Union Jack. The people pictured are dressed formally in dresses, suits and hats and several people are holding umbrellas.